Israeli researchers now think literacy may have been widespread in ancient times much earlier than previously thought. 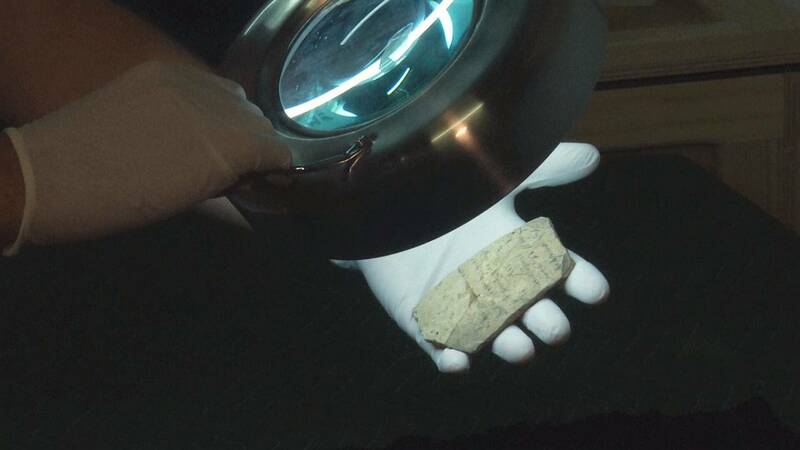 They have analysed inscriptions found on ancient fragments of pottery found in the Negev desert. The 2,600 year-old pottery is on loan from the Israel Antiquities Authority. The fragments were found at the remote fort of Arad in the Negev desert. It mean key parts of the Old Testament may have been compiled much earlier than scholars thought. Most scholars agree that the key biblical texts were written in the 6th century BCE (Before Common Era), during the Babylonian exile after the destruction of the First Temple. But the existence of multiple writers well before this time suggests literacy was already widespread in the ancient kingdom of Judah – and the Bible may have been authored earlier than previously thought. What is the pottery like? This latest study combined Archaelogy, Jewish history and applied mathematics. Sophisticated imaging tools and software were used to reconstruct the Hebrew letters partially erased over time. A contemporary high level of literacy would support the idea that some biblical texts had already been authored by 600 BCE. The Dead Sea Scrolls, the oldest known collection of biblical texts, are believed to date from several centuries later.